Nicholas has always been a parent's dream -- smart, stays away from trouble, and never puts up a fight. In fact, he's led a perfectly over-protected and sheltered life...until now. His first summer in Brooklyn will prove to be a far cry away from his suburban way of life, only to get more complicated when he ends up mistakenly earning a reputation as the tough-guy, Nicky Deuce. The summer's bound to be a long one, but it's also guaranteed to be his best one yet! 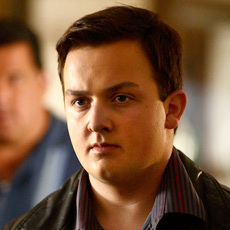 NOAH MUNCK starred as Gibby on Nickelodeon’s hit television series iCarly,a role that earned him several nominations for and one Kids Choice Award. The sharp-witted and beautiful Donna. She's a Brooklyn gem, and it doesn't take long before she becomes the reason Nicholas's heart skips a beat. As fate would have it, a strong bond quickly begins to form between the two when she embarks on a mission to help the nerdy Nicholas fit in with the rest of 'em in exchange for a little tutoring. But will she also end up lending Nicky her heart? CRISTINE PROSPERI is best known for portraying Imogen on Degrassi. Cristine also plays the role of Tiara Turner on the Family Channel series, Really Me, alongside Mike Lobel and Jamie Johnston. She plays Aria in Totally Amp'd, the recently released Apple app. Tommy is a local Brooklynite, and the first kid that Nicholas ends up forming a partnership with. After being enlisted to show the new kid the ropes, it doesn't take long before Tommy and Nicholas become true partners in crime...literally! As the summer continues, sticky situations will pin Tommy and Nicholas in sticky situations, but they're newfound bond will get them through the worst of them. CASSIUS CRIEGHTNEY started at the age of 4 in the entertainment business and has recently worked his way into supporting character roles on Canadian television including the internationally acclaimed series Degrassi: The Next Generation and How To Be Indie. At first look, one may think there's something awfully fishy about Uncle Frankie. He's tough as nails, and always leave Nicholas and the rest of the neighborhood kids guessing. Although Nicholas swears his uncle is a wise-guy up to no good, it doesn't stop him from wanting to get closer to him -- even if his dad instructed him to stay away! In reality, there's a lot more to Frankie than what meets the eye, and after all, family is family right? STEVEN SCHIRRIPA was born in Brooklyn, NY, and used his experience to co-write the story of Nicky Deuce with Charles Fleming in two young adult books, and produce the movie version for Nickelodeon. 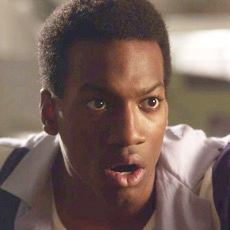 He was series regular as Bobby Bacala on HBO's acclaimed drama The Sopranos, and is currently starring on the hit ABC Family series, The Secret Life of the American Teenager. 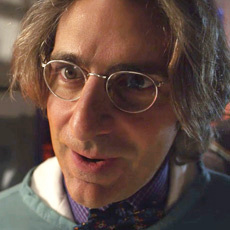 MICHAEL IMPERIOLI, acclaimed actor, writer and producer, is best known for his role as Christopher Moltisanti on the acclaimed series The Sopranos, which earned him a Best Supporting Actor Emmy Award, five Emmy nominations, as well as numerous Golden Globe and SAG nominations. He also had a star turn as a detective in the acclaimed series Law & Order, and was the voice of Frankie in the DreamWorks Academy Award-nominated Shark Tale. 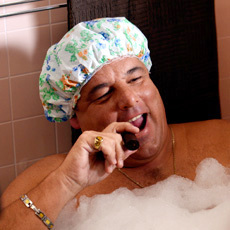 Paulie's got a problem, and sometimes it takes a kid to solve it. But when Nicholas and Tommy get assigned more than helping Paulie with his Facesandfriends.com account, they're in for an adventure of a lifetime that sends Paulie on a hunt for Nicky Deuce, and a prized possession that's gone missing. VINCENT CURATOLA is perhaps best known for his co-starring role as Johnny “Sack” Sacramoni in the award-winning HBO drama, The Sopranos. He has guest starred on many primetime network series including Third Watch, Law & Order, Monk, Life on Mars, Person of Interest, The Good Wife and many more. Charlie is one of Uncle Frankie's compadres at the social club, and he tries to teach Nicholas how to fit in by talking the Brooklyn talk. But when his lessons of "How you doin'?" go awry, all he can do is say "Fuggetaboutit." Just keep the kisses to the cheeks, capiche? 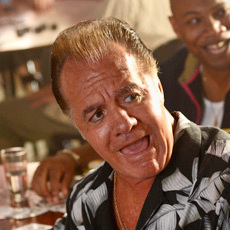 TONY SIRICO is perhaps best known for his portrayal of mob captain Paulie "Walnuts" Gualtieri on the hit television series The Sopranos. Sirico has worked with director Woody Allen on numerous films, including Bullets Over Broadway, Mighty Aphrodite and Celebrity. Sirico has also appeared in several other critically and commercially successful films, such as Dead Presidents and Goodfellas. 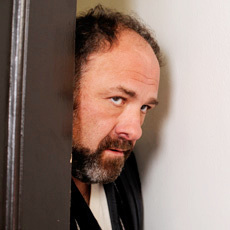 JAMES GANDOLFINI has made his mark in a variety of roles in film, on the stage and in television. 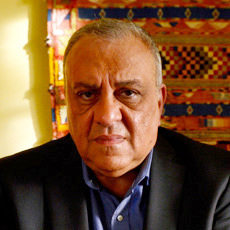 He starred in the Emmy Award-winning HBO drama series The Sopranos portraying the series lead, Tony Soprano, which brought him three Emmy Awards and a Golden Globe Award for Best Actor in a Drama Series. Gandolfini can currently be seen in Not Fade Away, a film reuniting him with David Chase for the big screen as well as Zero Dark Thirty and Killing Them Softly, opposite Brad Pitt. Tutti is Nicholas' other grandmother he didn't know he had, but don't call her "Grandma." She makes a mean spaghetti and meatballs, and you never knew how fun shopping for groceries could be until you go with her. But watch out for that wooden spoon she always seems to have handy - she's fiercely protective of la familia, so don't even think about messing with her boys. 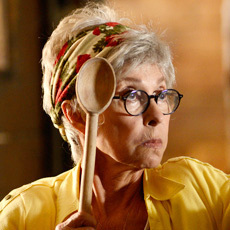 RITA MORENO is currently starring as Fran Drescher's mother in TV Land’s hit series, Happily Divorced. In her nearly 70-year career, she belongs to an elite group of only eight living performers who have won entertainment’s grand slam of the industry's most prestigious awards: The Oscar, The Emmy, The Tony and The Grammy.